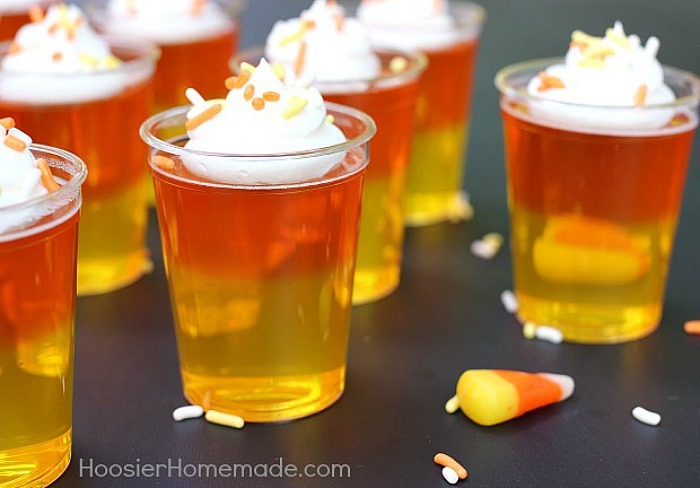 You can make these fun Candy Corn Jello Shots with or without alcohol. Layer the colors to look like candy corn It’s a fun Fall treat that the kids of all ages will love. 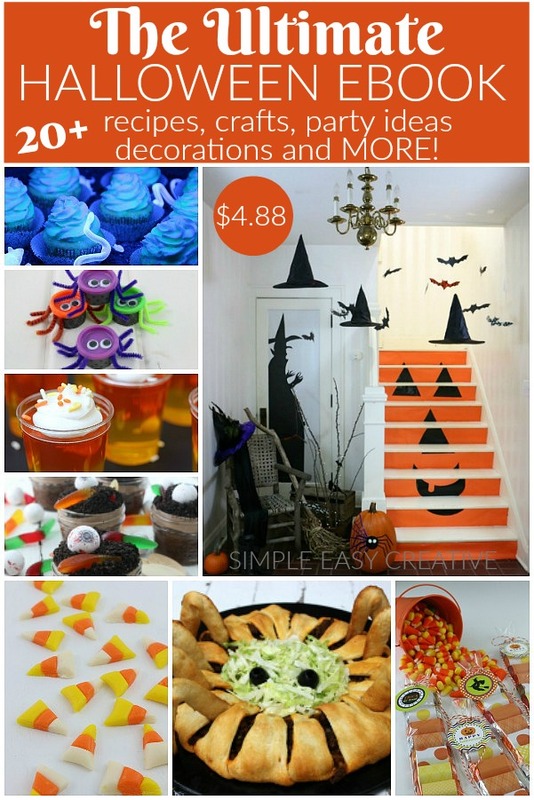 Are you hosting a Halloween Party? 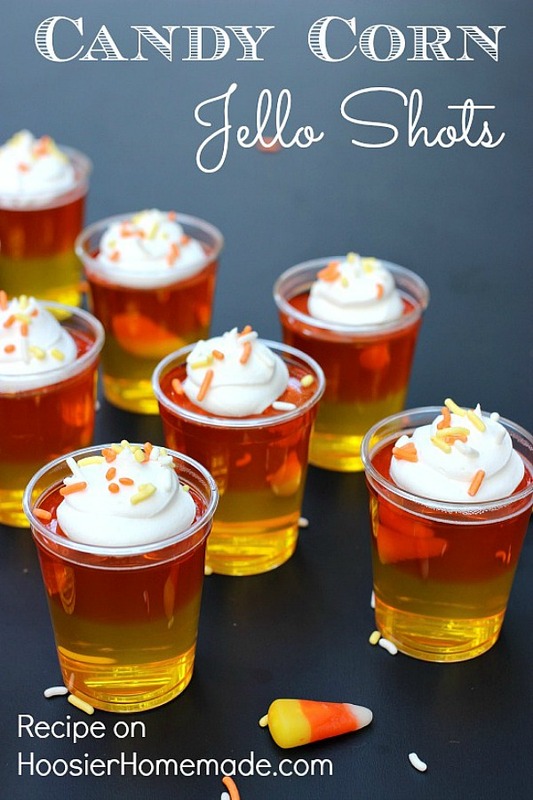 These Jello Shots would be so fun, and they are super easy to make and like with any jello can be made up ahead of time. 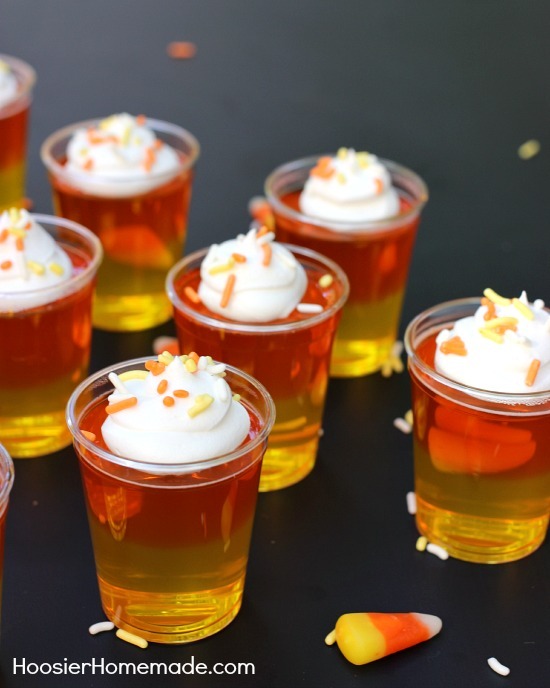 We have taken Jello Shots to the next level when we created the 4th of July Jello Shots, Irish Jello Shots and we can’t forget the Mardi Gras Jello Shots. And most recently we decided to leave the plastic shot glass in the cupboard, and created Margarita Jello Shots. Serving them in small plastic shot glasses is fun too! I used 2 ounce cups. You can also find them online or at some food supply stores. 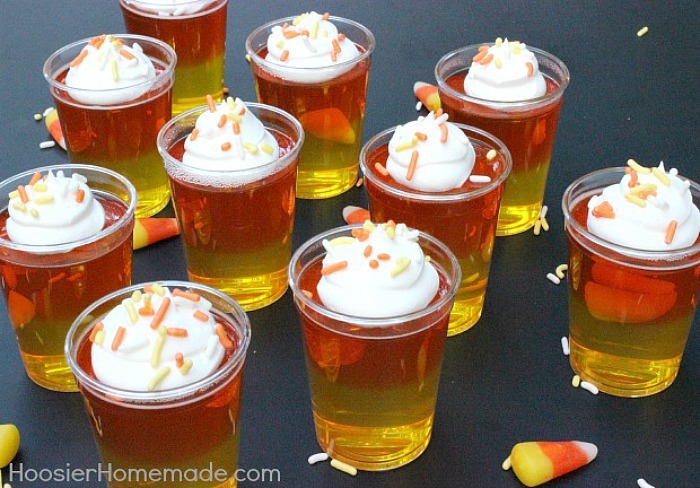 These Candy Corn Jello Shots and MUCH MORE in our Ultimate Halloween eBook! Grab your copy for only $4.88! 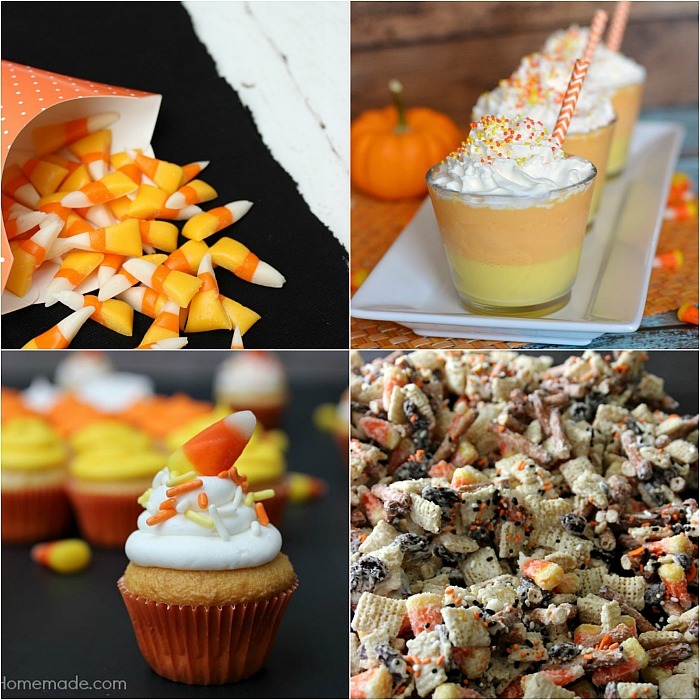 If you LOVE Candy Corn like I do, you may also like these fun treats! 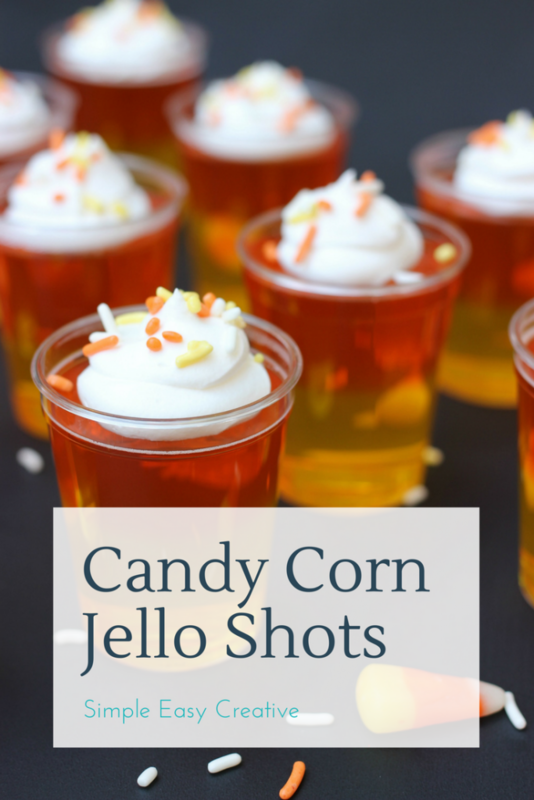 CANDY CORN JELLO SHOTS -- Make these fun Jello Shots with or without alcohol! Both recipes available! Layer the colors to look like candy corn! It's a fun Fall treat! Add 1 cup boiling water to 1 box of Jello and stir to dissolve. You can easily double the recipe to serve more. Prep time does not include chilling time. Do you need to use the gelatin or is that personal preference? Hi Amy, yes you need to use the gelatin, it serves as a stabilizer in the jello – it makes the jello thick. Oh my gosh, such a great idea! Thanks for sharing! These look so yummy! We don’t really have Jello in Australia. I’m not sure what brands they have here, but I am very tempted to make this! Happy Halloween. when you add the second color, does the first color melt? Hi Debra, it should not melt if the first color is set up enough. oh my goodness. . I love these!!! and you could totally make an “adult” version too!!! Pinned!! when making the adult version, do we still use the gelatin or should we omit that step? Hi Lorrie, yes include the gelatin. The box of Jello and the gelatin get combined and the liquid is added. The gelatin makes the Jello a little thicker, so you could leave it out if you rather, but I always include it. Shared these on my Wishes and Dishes page as well as Tasty Recipes!! Looks amazing!! Thanks Melissa! They are really fun to serve, guests think they take a long time to create.